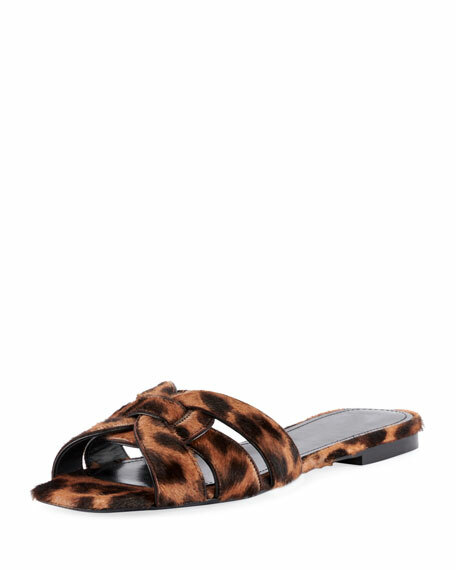 Saint Laurent "Amber" satin sandal. For in-store inquiries, use sku #2383974. Saint Laurent smooth buffalo leather sandals with signature YSL detail. 4.5" braided-jute wedge heel with platform. Thin strap bands open toe. Adjustable ankle strap. Leather lining. "Cassandra" is made in Italy. Saint Laurent shiny patent leather sandals. Flat heel. Thin strap bands open toe. Signature YSL metal detail. Adjustable slingback strap. Leather lining. Smooth outsole. "Cassandra" is made in Italy. 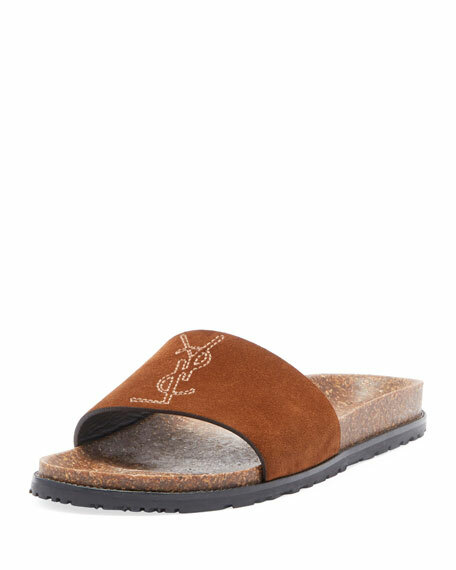 Saint Laurent sandals in dyed calf hair (Vietnam). Flat stacked heel. Wide straps loop together over vamp. Slide style. Leather lining. Smooth outsole. "Tribute" is made in Italy. 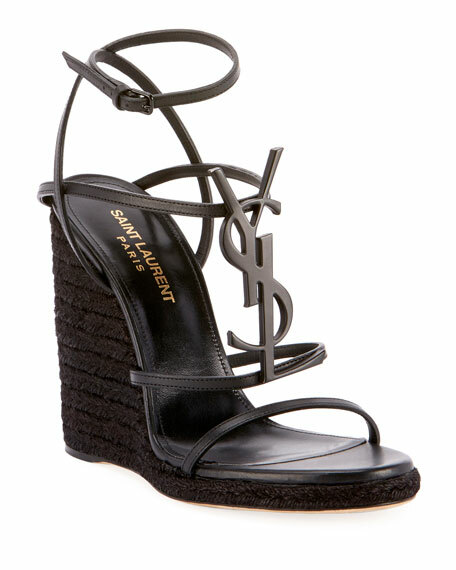 Saint Laurent "Joan Noe" suede sandal. Flat, molded cork wedge heel with platform. One-band upper with "YSL" logo stitching. Open toe. Slide style. Rubber outsole. Made in Italy.